Is garlic. I still have plenty left over in the freezer from last year, two large bunches hanging under the house which I picked ages ago and now I have these guys. Late in the season, I noticed a few cloves growing under the house below where I had been hanging last year’s crop – they had obviously fallen from the bunches. They looked pretty sick because they weren’t getting any water. I pulled them up and planted them into the vegie garden. Now, low and behold, I have these lovely bulbs. Is the start of the summer produce. I have pulled out so many self-sown cherry tomato plants as I was determined not to be over run with tomatoes this year. I still have about 50 jars of preserved tomatoes and tomato puree in the pantry. So … guess what I have been doing? Buying fresh tomatoes! You can’t win. I do have 5 Roma tomato plants but they are yet to produce fruit. These are the first cucumbers I picked. Since then, I have picked another three. I know I will be picking that many, if not more, each day soon. Cucumbers and tomatoes love it here. Are borlotti beans. I picked these as I wasn’t certain at what stage to pick them. I have now decided I need to wait until they are yellow. I have no need for any more vegetables at this stage, so the plan is to dry them for winter. Are beans, beans and more beans. This year, beans are the new tomato. I have already frozen 4 large bags and still they come. I don’t know how you can prevent the summer glut of vegetables. Are avocados. They are a great tree to grow because they don’t ripen until you pick them. I have been picking two or three every few days since late August. There are plenty still on one tree but I don’t know how long they will last before they fall off. The only trouble with avocados is that it is hard to know what day they will be ripen and, therefore, hard to plan dinners around them. Are some cheese sables I made for nibbles for Christmas day. We were invited to friends for dinner and everyone had to contribute towards the meal. I was allocated, amongst other things, nibblies. I made these Christmas-shaped cheese sables and three dips – red, green and white, in keeping with the Christmas theme. Is a little box that Maus made for my sables. I saw the recipe for the sables in a great book called Canapes by Eric Treuille and Victoria Blashford-Snell. On the front of the chapter for Nibbles, Dips and Dippers is a photo of olives, dips and a box of palmers. The box looked exactly liked this one. I showed it to Maus. Within a minute, she was out in the shed making me one. Is another box. I really liked the sables one so I suggested Maus make one for biscuits. They are so cool and took Maus very little time to make. This time, she sawed the corners off. We both decided, in retrospect, that we liked it better that way so she has now sawn the corners off the top one as well. 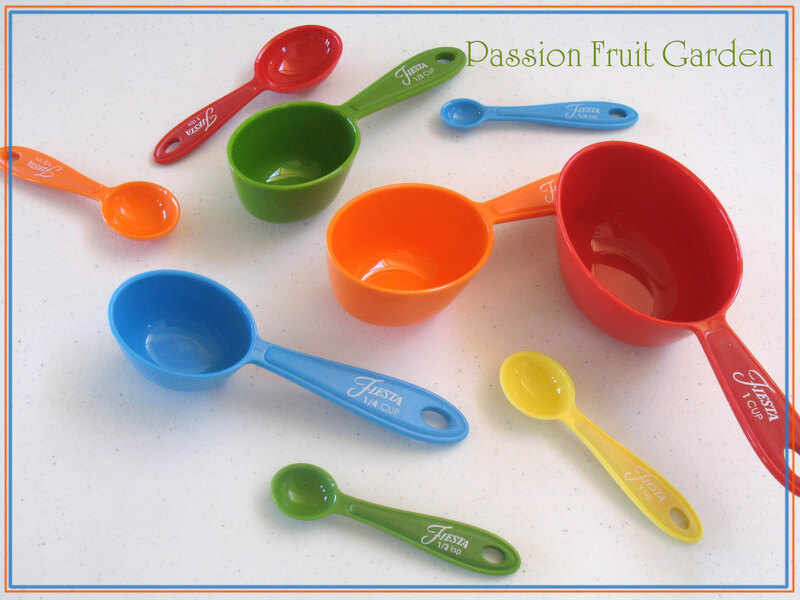 Are some new cup and spoon measures. I put this photo here as I anticipate the ‘critical one’ telling me I need some colour in the post. Well, here it is – colour galore. Maus’ sister, Pauline, brought these back from America for me. I asked her for some American measuring cups so I can make American recipes with confidence but … These guys don’t say whether they are in fluid ounces or not. I filled them up and poured the fluid into my measuring cups to see if they were different and they are, virtually, the same. Both are made in China and I wonder whether they are all the same, whether for the American or Australian market. 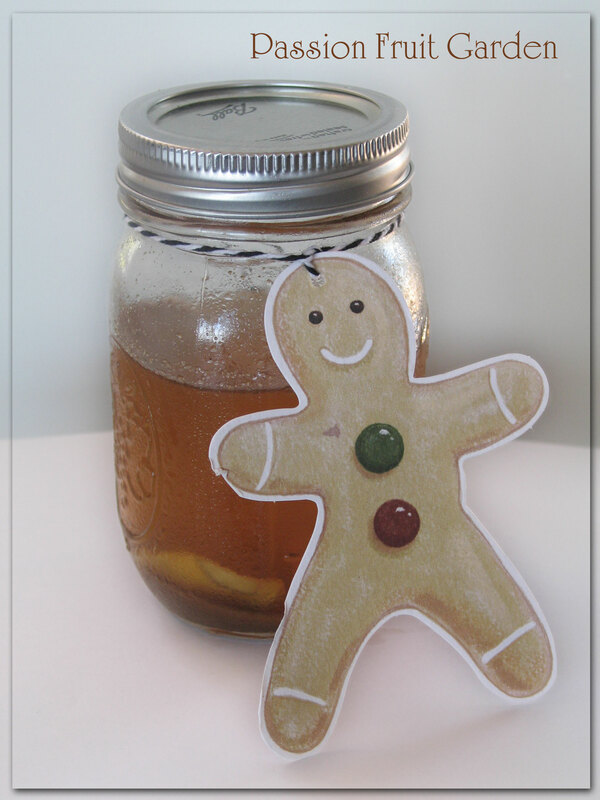 Is some ginger syrup, a gift from Maus’ niece, Emma. It tastes great with soda. 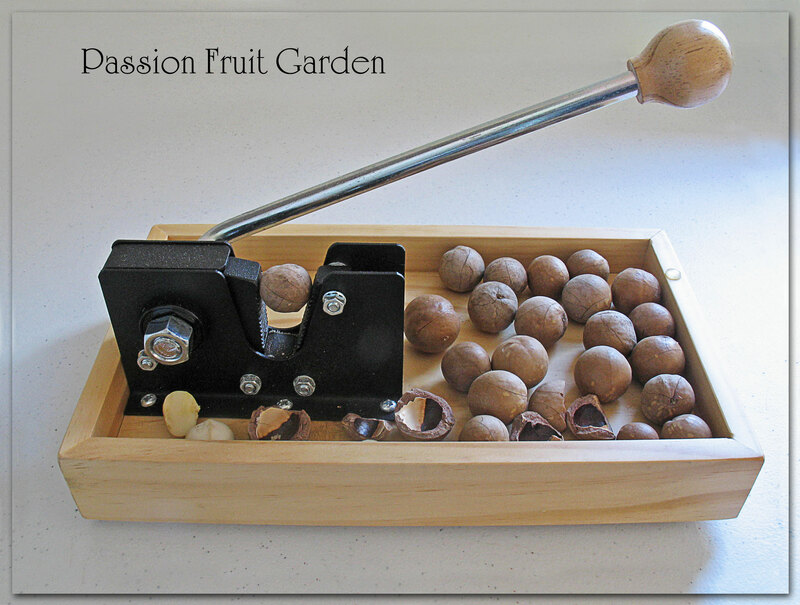 Is a macadamia nut cracker, a gift from my sister, Sandra. It is fantastic. No hammers required for this baby. The nut cracker is made in Queensland by TJ’s Nutcrackers. The nuts are so easy to crack. You just pull the handle down and voila! Is more Römertopf. This time, bread-baking equipment. They are gifts from my sister Juanita. 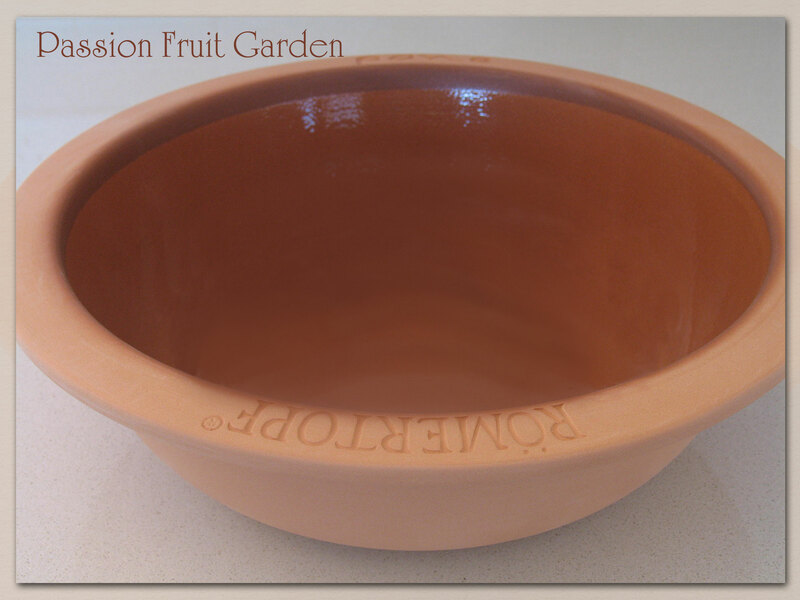 I have now used the top bowl. These guys were on my Christmas list as I wanted to try making bread in a Römertopf again. The bread was fine. The crumb was nice and open, the crust good but it was not a beautiful loaf and it did stick to the bowl even though I oiled it. Next time, I will put baking paper at least in the bottom of the bowl. I still think bread baked in a hot cast iron pot is the best but baking bread in a cold oven is just so much more convenient. Is more Römertopf. I haven’t used this guy yet but the concept will be the same. The bowl is for 1,000g of dough and the loaf pan is for 750g. Is a new kitchen gadget from my friend, Jane. It, too, comes from the States. It is a Snapi. 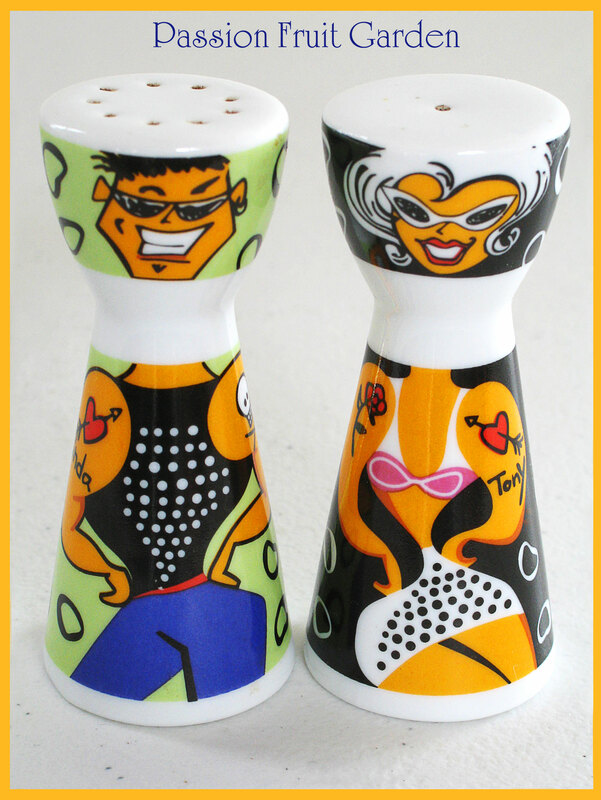 According to the label, it is for picking up salads, pasta and much more … It is very cool. Are some new cookbooks I received as gifts. 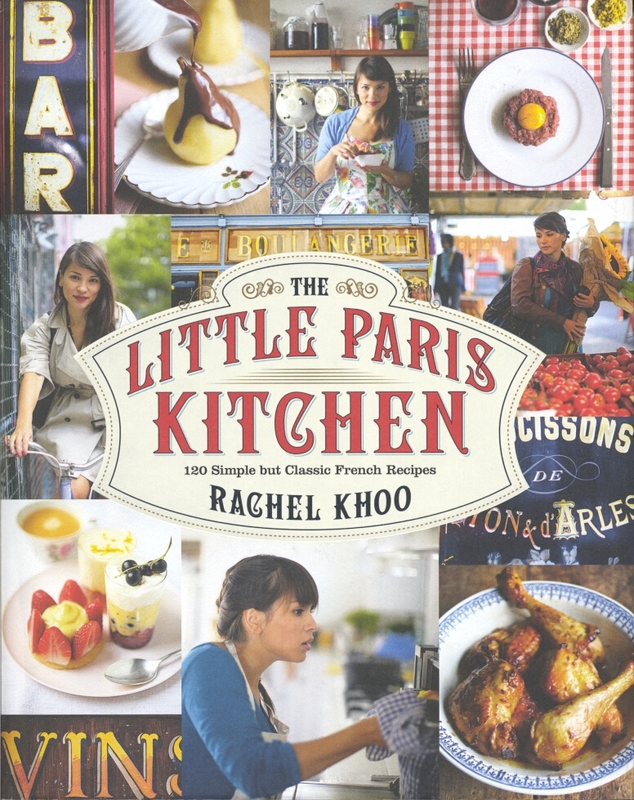 I fell in love with Rachel whilst watching her series, The Little Paris Kitchen, on SBS. She certainly was a delight on TV and she made some wonderful dishes, in her tiny Parisian flat, which are featured in the cookbook. The only problem with the book is: Rachel doesn’t come with it. That is the problem with buying cookbooks written by TV celebrities – they are never as vibrant as the TV show. I find the same with Nigella. If only Nigella would swoon around my kitchen every time I make something out of one of her books. Is another cookbook gift. Sophie Zalokar is a Western Australian chef from Foragers Field Kitchen and Cooking School in Pemberton, a town not so far from Bridgetown. The book features 40 local producers and gatherers and then recipes created using their produce. It is a lovely idea for a book. The Southern Forest is in the lower south west of Western Australia. It is renowned for its magnificent Karri trees which are amongst the tallest trees in the world. It is a delightful book. And finally, I would like to announce that the previously featured Tony and Linda now live in my kitchen, thanks to Big Al and Steve. This entry was posted in In My Kitchen and tagged American measuring cups, Macadamia nut crackers, Römertoph, TJ's Nutcrakers, When to pick avocados by Glenda. Bookmark the permalink. Hi Glenda, I love your kitchen I wish it was an online shop! The produce is amazing as always and the macadamia cracker is uber cool! I thought the little Paris kitchen was fantastic but was very glad I wasn’t cooking in it! Hi Jason. Thanks for stopping by. Glenda, your kitchen is exploding this month. I’m looking at your fresh produce and glancing out the window here which we’ve got the Polar Express blowing down on us from Canada. It’s too cold here to even go out and pick up the mail. 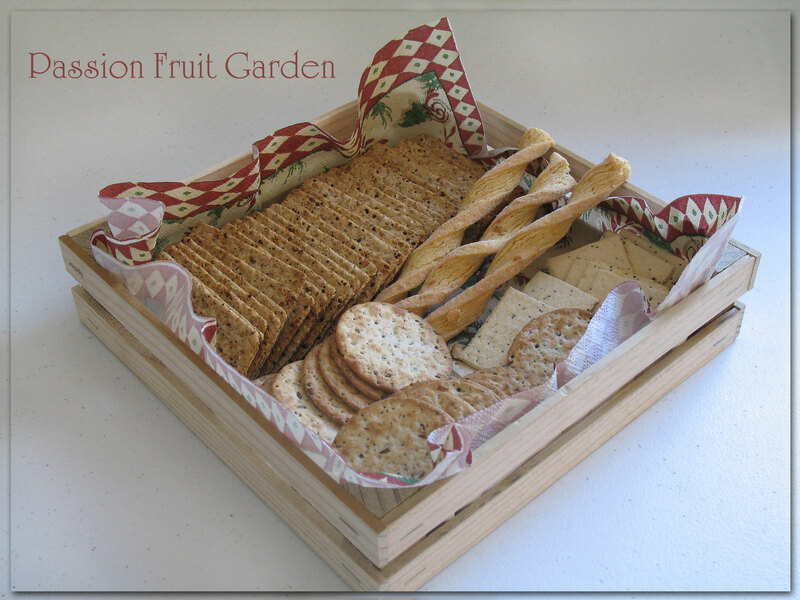 I love those boxes that Maus made & knew the minute I saw them that she’d whipped them up for you. They really set off your snacks nicely. And you got one of those cool Snapi’s. My neighbor owns a hardware store with a large kitchen section and he gives those away to ‘some special’ customers. They’re fun and actually work great. As for your cups, if you’re reading an American recipe, it doesn’t matter if it’s dry measure or liquid – all the same. I just tend to use the solid ones for dry so that you can level off dry ingredients and the clear or glass measures (those look more like a drinking cup with the ounces marked off) for liquid measuring. Believe me, it gets confusing – I just made Celia’s sour dough bread & completely misinterpreted the little kg scale that I had hanging around. BOY did I misread that! Basically, for the 2 loaves of bread recipe I think I might have measured out about 14 drops of water. Cool nut cracker too – love those macadamia’s but they can be a bear to crack open. whereas ours 250 mils. How much is in your teaspoons and tablespoons? It is my understanding that they are 5 mils and 15 mils but then why would you have mil tablespoons when everything else is in fluid ounces. Like I said most things are made in China and I think they make generic measuring cups and spoons. Our tablespoon is 20 mils but there are 15 mil tablespoons everywhere in the shops. That is because they are made in China and they are for the global market not specifically for Australia. You have to really look to find a 20 tablespoon. I have no idea what these guys measure as there is no measurements on them. Hi Nancy It is great having a vegetable garden. I waited a very long time for it. Wow, what a lot of new things in your kitchen! Never enough cookbooks is my motto. Wishing you a very Happy New Year. Thanks so much Liz. Happy new year to you too. Love the look of that garlic! It’s too wet to grow it well here in Sussex. Happy new years! Thanks Misky. Garlic is very happy here. It must be just the right climate. We just took the Christmas lights off the tree outside, and nearly lost our noses to frostbite. Gosh, it’s cold!! happy new year Glenda. Avocados. 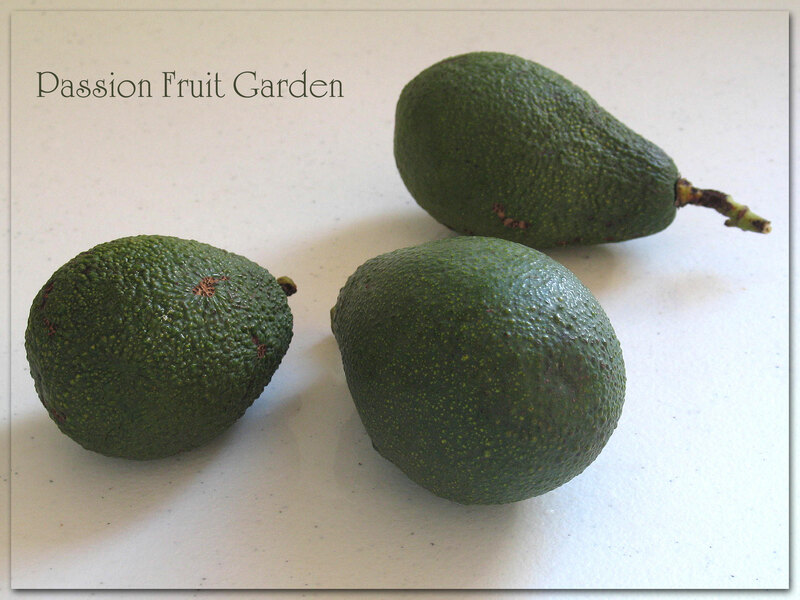 You grow avocados. I’m so jealous. Over here I buy them rock hard, keep them in the kitchen for a few days and they either remain rock hard or turn black and mushy. In fact I rarely buy them now as they’re so disappointing. Your cheese sables look divine. Hi Anne, I don’t feel so bad about your abundant supply of berries now. I was thinking of making a berry tart for a dinner this week but raspberries and blueberries cost $7.95 for 125grams here. Can you believe it? Hi Nicole, I am sure I will have tomatoes galore this time next month. Oh Glenda I hardly know where to start with this post so full of goodness! But, perhaps my favourite is the avocados. To be able to pick a couple every few days is my idea of heaven. Happy New Year and thank for your continued support and kind comments. Hi Jane, I hate to admit that every now and then, I forget to pick some and then I have to go and buy one. It is very annoying. Hi Glenda! What an treasure trove your kitchen cupboards must be! I think I could lose myself for days! Your garden produce is amazing! 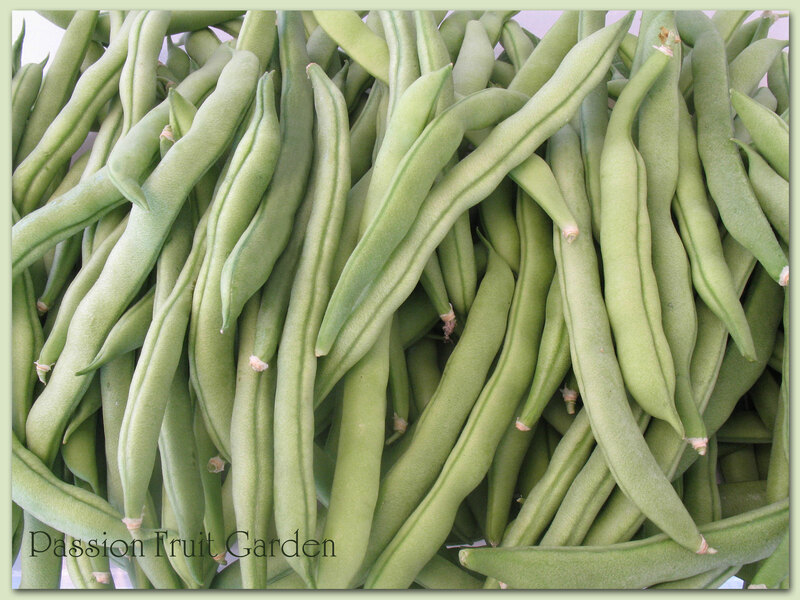 I am so impressed by what you harvest – you have the greenest thumbs of anyone I know! I trust you enjoyed a wonderful New Year – best wishes for 2015! what a wonderful post. i love the things in your kitchen this month. what cute S & P shakers, and the wooden boxes are gorgeous. so lucky to have veggies growing- we can grow nothing due to a rampaging bush turkey or 2! happy new year. Thanks Elizabeth Keep growing, it is so rewarding. I just put nine bags of beans in the freezer. Thanks for sharing! You have such a bounty it was a delight to see it all. Especially love the boxes! I sometimes try and tell myself I”m just like Rachel, cooking with only a Sunbeam Pizza Bake N Grill. It falls down majorly though in the glamour stakes, she is gorgeous. Cheers. Happy New Year Glenda and Maus! Honestly G, is there *anything* you can’t grow? 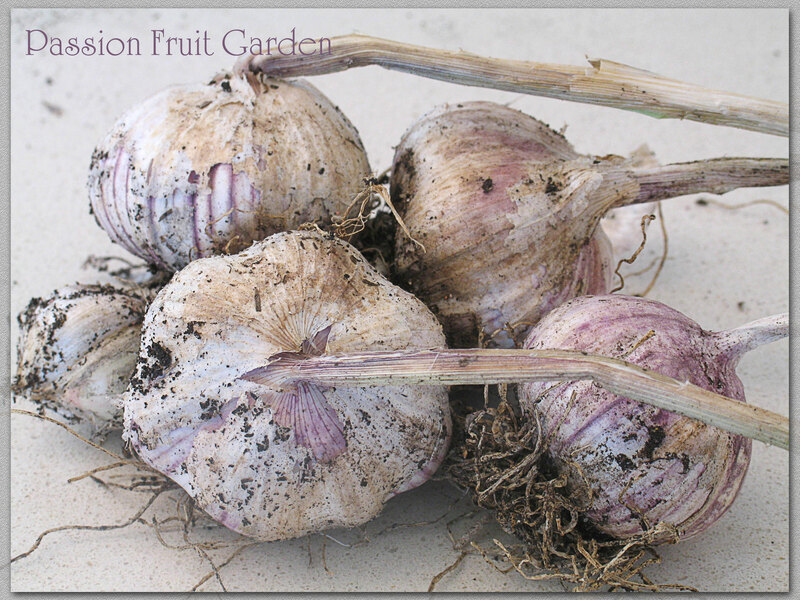 You found tragic looking fallen garlic cloves and turned them into those magnificent bulbs? You are one of the cleverest gardeners I know! 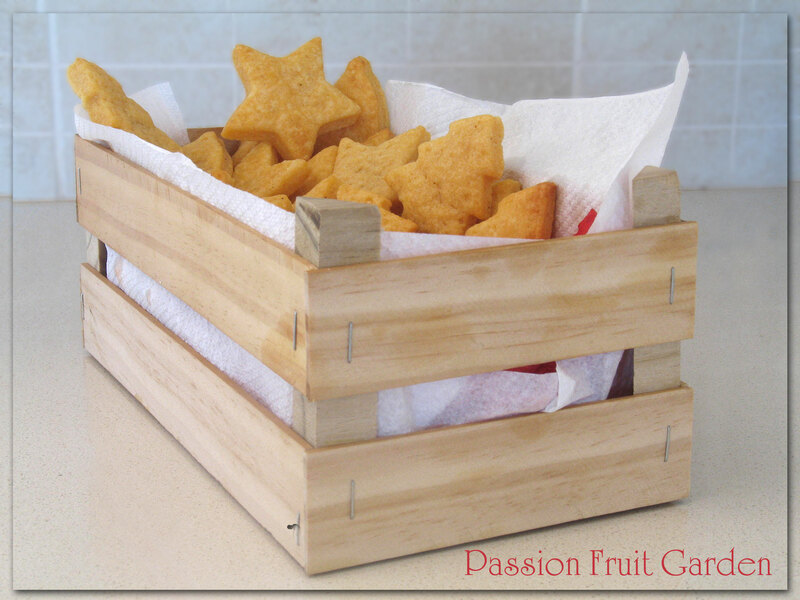 I love your Christmas shaped cheese sables, and Maus’ lovely wooden boxes – I like them better without the corners too! 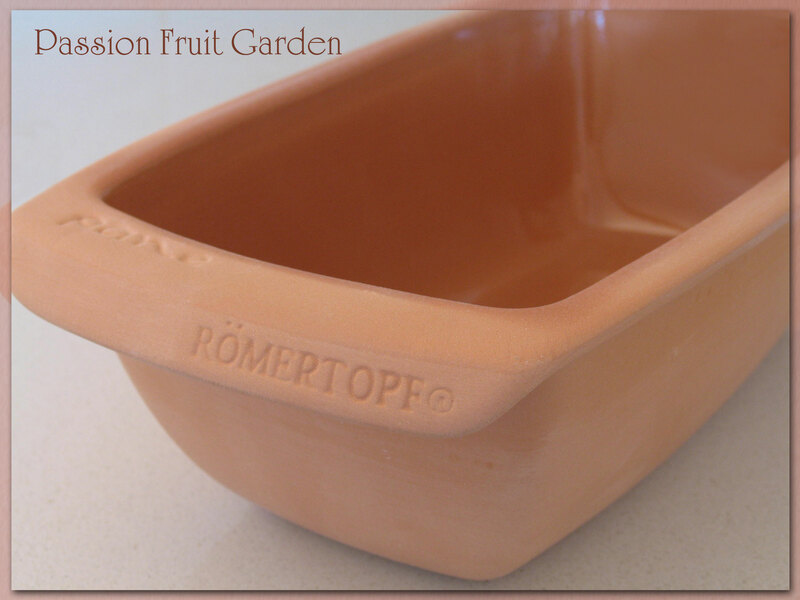 And those Romertopf loaf tins are nice, and produce quite lovely bread when they’re not sticking, but they just don’t look all that pretty do they. I agree with you – I think baking in a covered pot works the best, but you’re right, sometimes it’s just nice not to have to preheat the oven! Happy new year Celia. The bread I made in the round bowl only stuck to the bottom so next time I will put a circle of baking paper on the bum and see if that helps. I followed your advice and baked it for 15 mins out of the bowl at the end to brown the bum which was a good move. All was good but it looked a lot like a space ship. Happy New Year. What an amazing stash of goodies in your kitchen. I think I need a macadamia nutcracker, STAT! Hi Jennifer. The nutcracker is fabulous. Love all your fresh produce, especially the borlotti beans. The box is perfect, how nice to have it made just for your specific purposes. I may have to get my husband to do that for me sometime. Happy New Year! Hi Gretchen. Happy new year to you too. The boxes only took a very short time to make and are great for savouries. 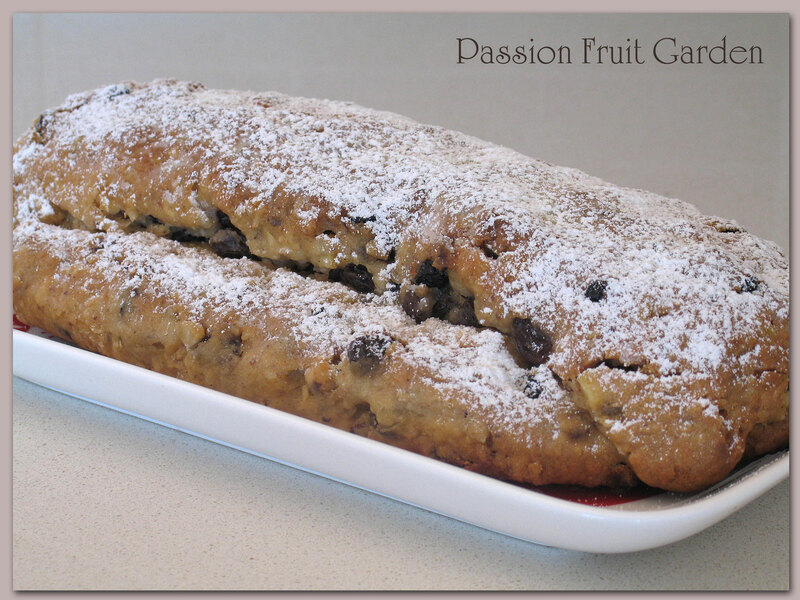 The cheese sable and fruit stollen look very tasty indeed. I like the look of your borlotti beans. I don’t have much success with them at all- even though all the other beans grow happily. The women in the South of France, use these beans when they appear really rotten, picked and left to mature further, in their Zuppa al Pistou. I just love them fresh in summer soups. Hi Francesca, After I picked this lot I realised I need to leave them longer. The pods of the ones I picked today were all yellow and wrinkly and the seeds were much plumper. Live and learn. Glenda, love your photos! I just came over from In My Kitchen (I posted my first IMK today!). I have the same frustration with avocados–no telling when they’ll be ready. Glad to find another enthusiastic bread baker. Hi Jean, I tried to comment on your post but I don’t think it worked 😦 Thanks for stopping by and for the compliment. Happy New Year! Love all the fresh veggies from your garden. I agree with the solution you came to regarding borlotti beans. I think it was Francesca @ Almost Italian who said that they are ready to pick when the pods look almost rotten. 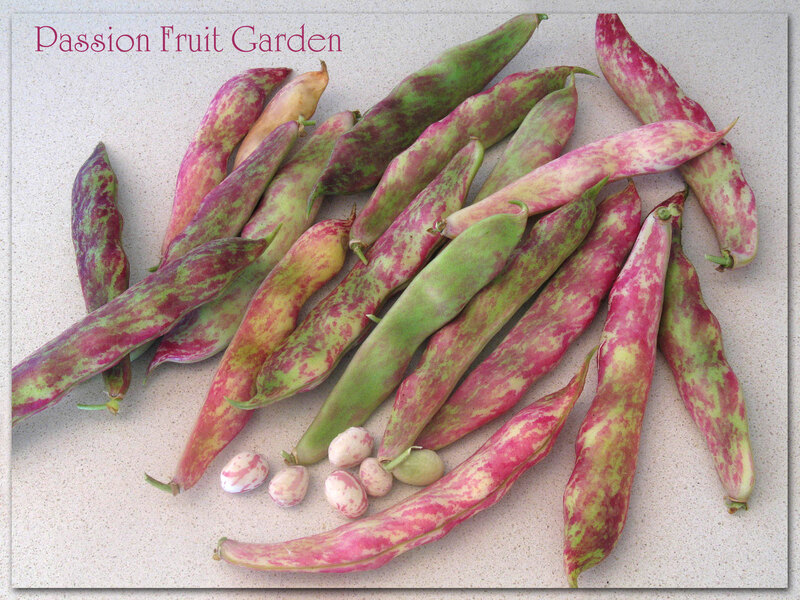 I know from experience that when the pods look lovely and speckled, many of the beans are still green inside. Like the sound of that canape cookbook. Will need to look it up. And, of course, it really wouldn’t be Christmas without stollen! Hi Debi, happy new year to you too. Thanks for visiting. A kitchen full of treasures…lovely! I love all of your fresh produce. Our growing season here in the nordic is quite short that I could never even dream of an avocado tree 😊 Happy New Year! Hi Laila, happy new year to you too. Happy New Year to you as well Glenda and Maureen. Is that the garlic that I gave you a few years ago? If so, that’s amazing and looks stunning. Hi Sue, it sure is. 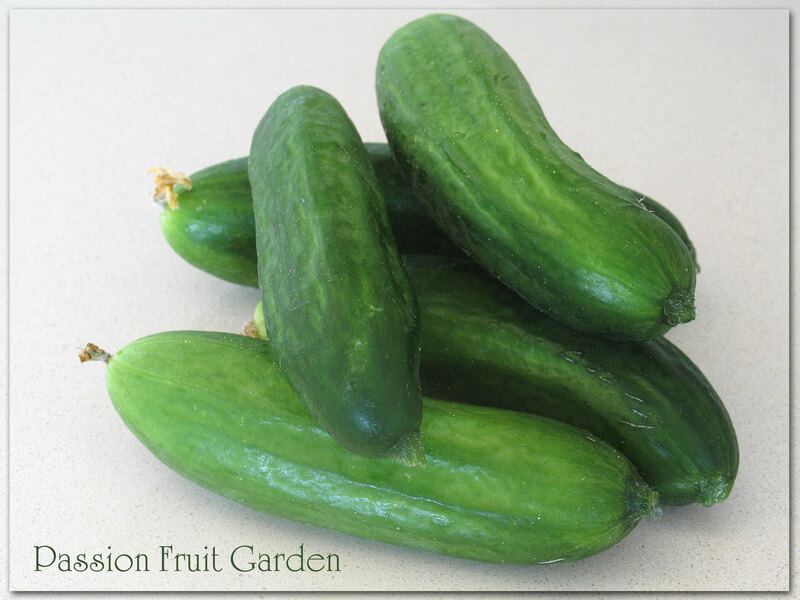 Happy new year Glenda… loving all your fresh produce, especially envious that you have cucumbers already! Wow. Your cheese sables look and sound good… Peter would love them, I’m sure. If you have posted a recipe, do please let me know. 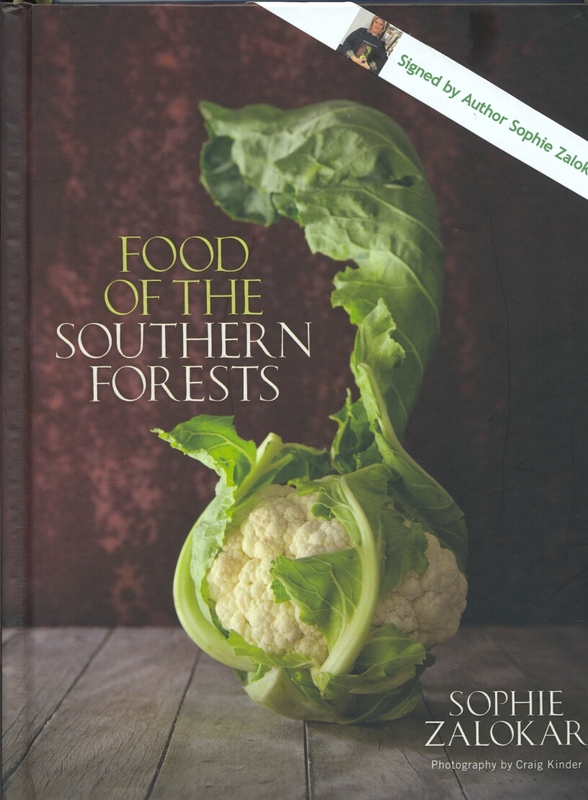 That Food of the Southern Forests book sounds great too! (Though I do not need another cookbook). Hi Liz, Happy New Year too. 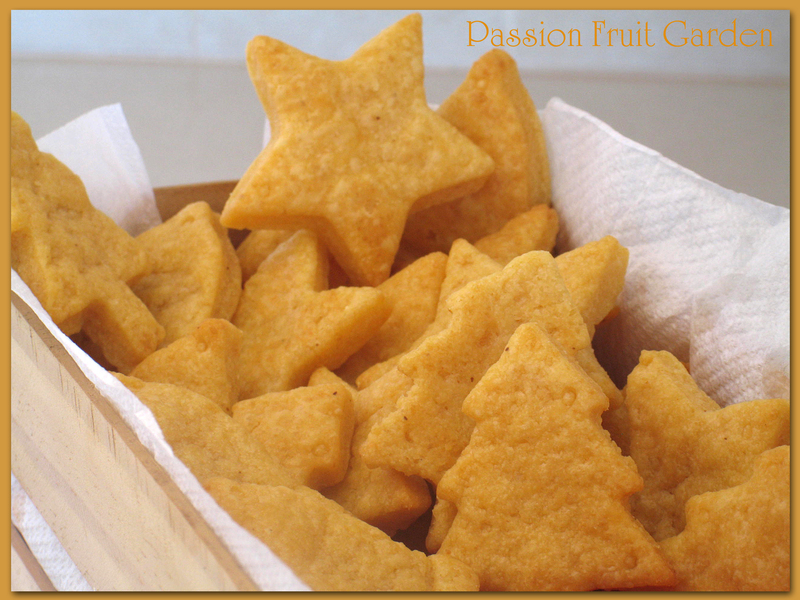 I haven’t posted a recipe for the cheese sables but if you would like it just let me know and I will email it to you. Who needs another cookbook??? ?